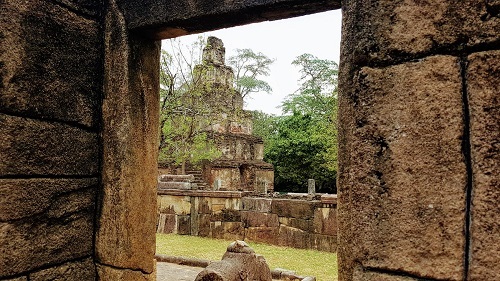 Upon arrival at the Bandaranaike International Airport you will be met and greeted by our company representative after you have cleared Immigration & Customs and have collected your luggage, in the arrivals area – private transfer to Sigiriya. This evening your group will have a ‘Welcome Dinner’ at the Cinnamon Lodge – Habarana. 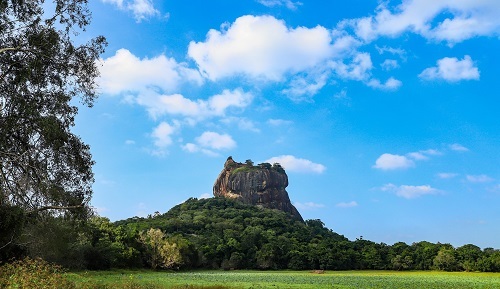 In the morning your guide will first take you to the Sigiriya fortress where you’ll have time to Climb the rock. It’s a challenging walk up but so worth it once you reach the top. Sigiriya is an ancient rock fortress and the site contains the ruins of an upper palace located on the flat top of the rock, a mid-level terrace that includes the Lion Gate and the mirror wall with its frescoes, the lower palaces located behind the lavish lower gardens, and moats and ramparts which protected the citadel. 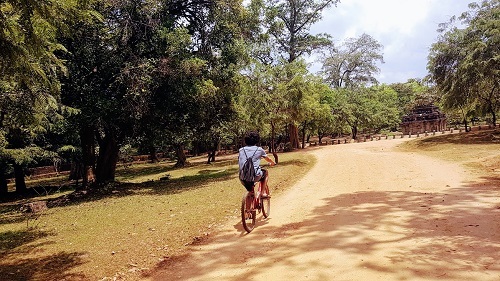 Afterwards you’ll be taken on a village tour to experience the authentic rural life and interact with the local residents. The tour starts with a Bullock cart ride near to the village pond where you will experience a boat ride to the other side of the lake. After a short walk within the paddy fields & vegetable cultivation you’ll reach the village and have time to relax & taste a delicious Sri Lankan Lunch. It is the largest known meeting place of Asian Elephants in the world. During this period herds up to 300 elephants are seen at the 8,890 hectare park within a few square kilometers of the Minneriya Reservoir. 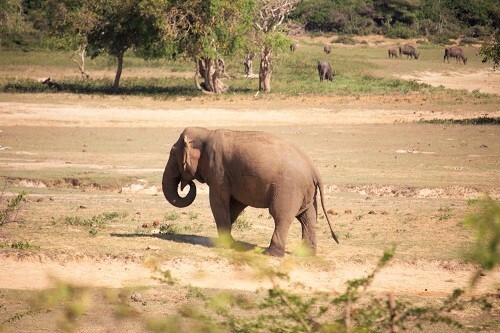 In August and September each year during the dry season, wild elephants from the surrounding wilderness in search of food and water, makes their way to the shores of the Minneriya Reservoir adjoining the Minneriya National Park. Huge herd of elephants, sometimes numbering up to 300, converge together within a few square kilometers of the lake. 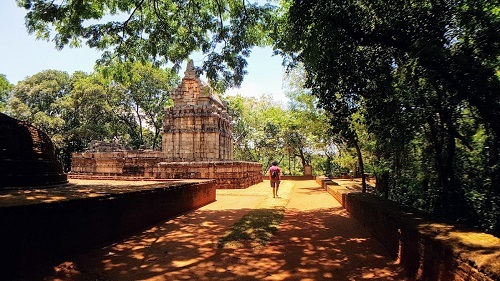 Polonnaruwa was the thriving commercial and religious centre of Sri Lanka some 800 years ago. It consists of a lot of temples and religious buildings. For three centuries it was the royal capital, of both the Chola and Sinhalese kingdoms. In Polonnaruwa, it all started in the late 10th century when the South Indian Chola dynasty had conquered Sri Lanka. The Cholas chose Polonnaruwa as their new capital and moved the capital from Anuradhapura. 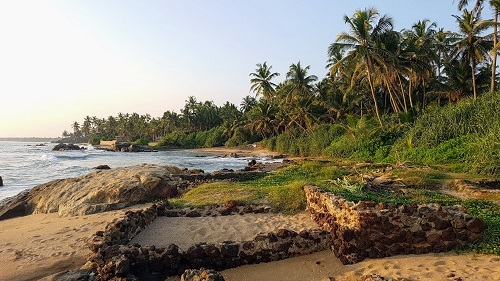 Their reasons were apparently that is was a strategically better place to be protected from attacks from the Ruhunu Sinhalese kingdom in the south-east. In 1070 though, the Chola dynasty was overtaken by the Sinhalese kingdom (King Vijayabahu I), which kept Polonnaruwa as his capital. And it was during this Sinhalese period that Polonnaruwa reached its high glory. The second king (King Parakramabahu I, 1153-86) built many large buildings, beautiful parks and a huge lake/ tank of water (25 square km). The third king (King Nisanka Malla, 1187 – 96) tried to match his predecessors`achievements, and ended up bankrupting the kingdom in his attempts! 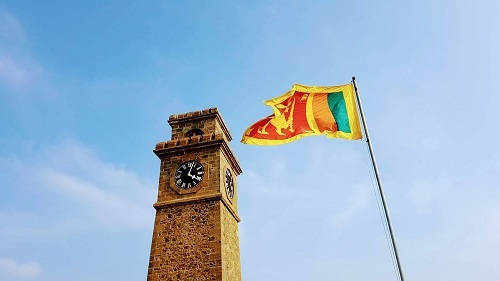 In the early 13th century the cities glory was fading, it was abandoned, and the capital moved to the western side of the island where Colombo is today. That was the sad end of the era of beautiful Polonnaruwa as a capital. In the evening when you travel from Polonnaruwa to Hotel your guide will take you to the Dambulla cave temple also known as the Golden Temple of Dambull. It is a World Heritage Site in Sri Lanka, situated in the central part of the country. inside the caves, the ceilings are painted with intricate patterns of religious images following the contours of the rock. There are images of the Lord Buddha and bodhisattvas, as well as various gods and goddesses. After a day of discovering this ancient site, your driver will take you back to your hotel to relax and enjoy the amenities. Your first stop will be a visit to the spice garden in Matale to see a large variety of spices. You will learn about the different purposes for each of them and also find out about its long history in the Sri Lankan spice industry. From here you will proceed to the Nalanda Gedige temple. This is an ancient stone temple and is that believed it was created over 1000 years ago. It was also considered to be the center of Sri Lanka. As you walk around the ground, you’ll be mesmerized by its serenity, a good time to just be and relax. You will arrive in time in Kandy to witness the vibrant and colorful cultural performance in the evening at Temple of Tooth in Kandy. From here you’ll be taken to your hotel for some well deserved relaxation and a nice dinner. Embekke Devalaya is famed for its intricate woodcrafts, pillars and other structures. It has been said that the Embekka Devalaya may be the best place in the world, certainly in Sri Lanka to see the finest wood carvings of old. The Kandy upper lake on roadside location is cool and breezy and it is a well- known spot for tourists to stop and take photos. In the afternoon your guide will take you to the Giragama Tea Factory . Directly and indirectly, over one million Sri Lankans are employed in the tea industry. A large proportion of the workforce are young women and the minimum working age is 12. 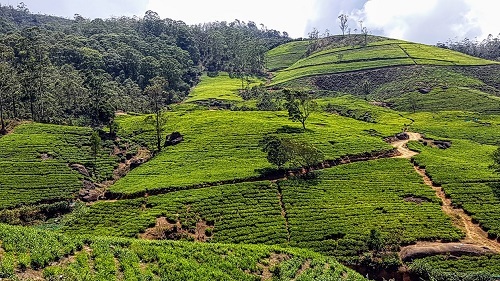 As tea plantations grew in Sri Lanka and demanded extensive labour, finding an abundant workforce was a problem for planters. Sinhalese people were reluctant to work in the plantations so Indian Tamils were brought to Sri Lanka at the beginning of the coffee plantations. Immigration of Indian Tamils steadily increased and by 1855 there were 55,000 new immigrants. By the end of the coffee era there were some 100,000 living in Sri Lanka. Today, as a community, they remain instrumental to the tea industry. Giragama Tea Factory is one of the oldest in Sri Lanka. The eponymous English “cuppa” might have been somewhat stronger if not for the 1865 coffee blight. 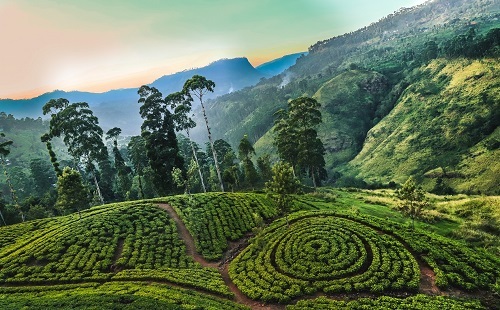 Old Ceylon’s up-country plantations were devastated – but not so the spirits of the pioneering planters. They threw in a crop of tea and never looked back. You will visit a tea plantation and observe how the plant is grown and harvested. From here you will travel to a factory and learn about the whole processing procedure and how different types of teas are created. In the late afternoon, you’ll be taken back to your hotel for some time with the group or relax by the hotel pool. 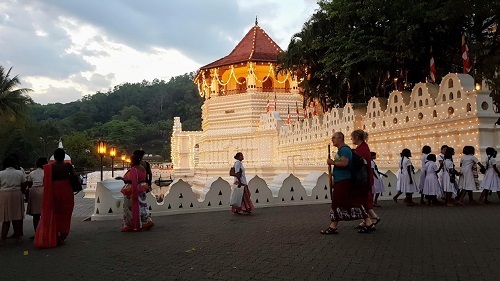 Before your begin your journey to Ella, this morning you’ll visit the beautiful Temple of the Sacred Tooth Relic, one of the most visited site in Kandy and participate in the morning ceremony. Smell the flowers at Hakgala garden The Hakgala Botanical Gardens are believed to be the highest altitude botanical gardens in the world. 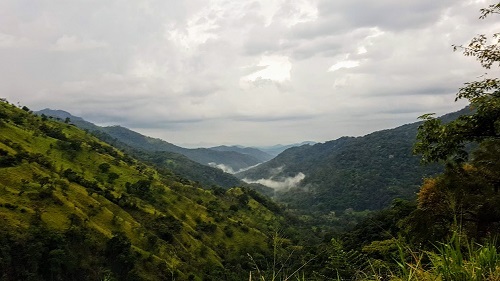 On the road to Badulla, stop at the green gates and visit the beautifully manicured gardens full of roses and orchids and other plant species. Head towards Ella and catch the local train and continue with the journey, it takes about 2 hours but is just breathtakingly beautiful. 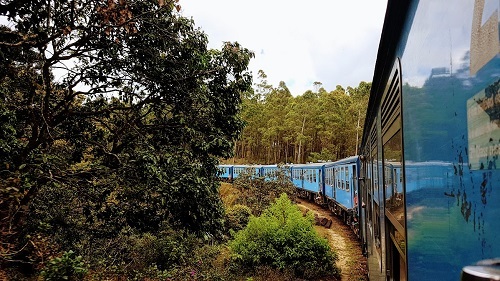 This train powers up through Sri Lanka’s southern hill country, through the tea plantations, into the clouds and then weaves in and out of the many mountain tunnels as it descends to reach Ella. When the train journey ends, your driver will take you to your hotel for a relaxing evening and dinner together. 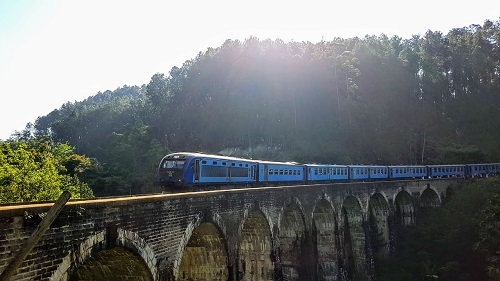 The Nine Arch Bridge in Ella is on the Demodara loop and spans 91 meters at a height of 24m. It is one of the best examples of colonial-era railway construction in the country. And is one of the most photographed sites in Sri Lanka. 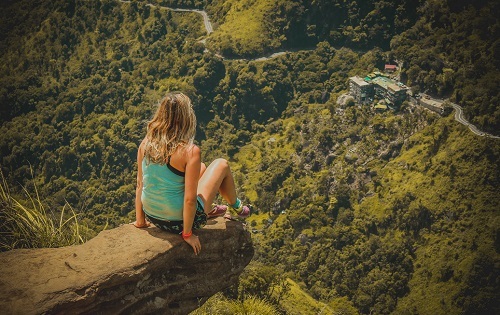 Ella is a hiking hotspot in the mountain country of Sri Lanka. Some of the views from hikes in Ella are phenomenal with the region well known for its tea plantations and spectacular mountain ranges. If you want to enjoy some of the best views without needing to hike for hours, Little Adam’s Peak is the perfect trek, especially for an unforgettable sunset. The Ravana waterfall measures approximately 25 m (82 ft) in height and cascades from an oval-shaped concave rock outcrop. During the local wet season, the waterfall turns into what is said to resemble an areca flower with withering petals. But this is not the case in the dry season, where the flow of water reduces dramatically. The falls form part of the Ravana Ella Wildlife Sanctuary, and is located 6 km (3.7 mi) away from the local railway station at Ella. After returning to the hotel you’ll have time to relax with the view of the fascinating, greenish giant mountains. From the green hills to the sandy beaches. you will now transfer to Galle, the southern province. 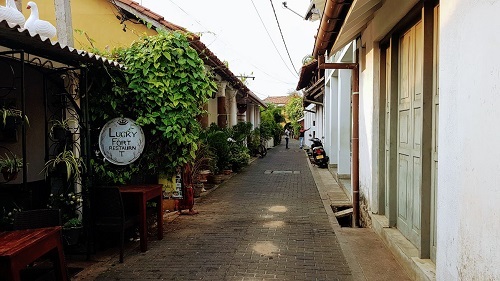 Galle is a city on the southwest coast of Sri Lanka. 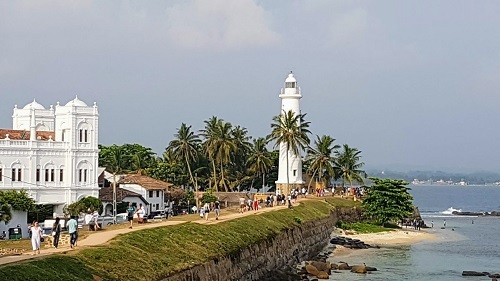 It’s known for Galle Fort, the fortified old city founded by Portuguese colonists in the 16th century. Stone sea walls, expanded by the Dutch, encircle car-free streets with architecture reflecting Portuguese, Dutch and British rule. 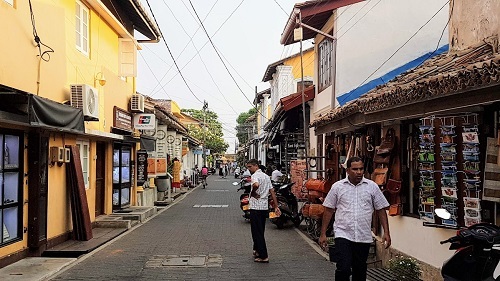 Walk down Pedlar and Parawa Streets For a different experience in our list of Galle things to do, these streets and the surrounding area are beautiful, quiet places to wander. They also are home to typical old Dutch colonial houses. In the afternoon, your driver will take you to your hotel for a relaxing evening and dinner together. 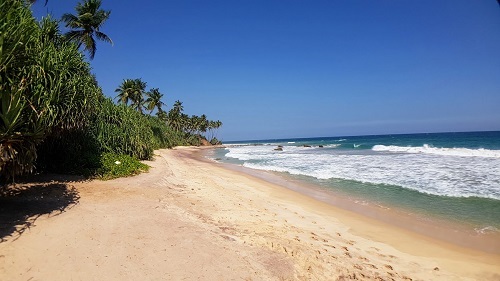 Mirissa is a small town on the south coast of Sri Lanka, located in the Matara District of the Southern Province. Afterwards, observe and earn about the methods that are used in the old art of beeralu lace making in Sri Lanka. The craft is said to have originated during the Portuguese rule in Sri Lanka when women were taught how to create lace designs to decorate their own attire. Spend the evening at the jungle beach . 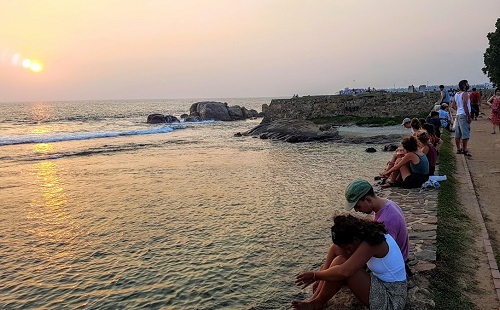 The beach is located nearly 7.5km from the main city, Galle and few kilometers from Rumassala, Unawatuna area. Jungle beach is suitable to enjoy swimming without waves. The beach is rich in coral reefs and marine biology and in ancient days it was used to take fresh water before starting great voyages. In the afternoon your driver will take you back to your hotel to have time with your group. 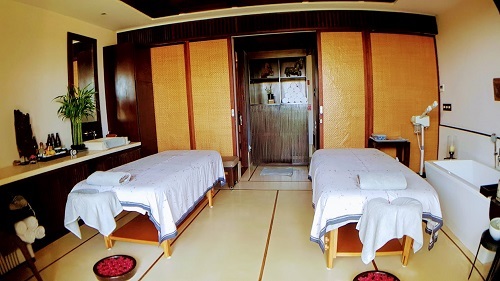 As this is your last day of your time in Sri Lanka, today you’ll have time to reflect on your time in this beautiful country and experience Sri Lankan Ayurveda massage treatments at hotel. ‘Ayur-veda’- ‘the science of life’ is an ancient, holistic form of healing that promotes total well-being and harmony within you in balance with nature and the environment. With knowledge honed over thousands of years, it is a practice that considers your whole being and emphasizes on prevention rather than cure of symptoms. At the hotel’s Ayurveda Wellness Centre, their qualified Ayurvedic Physician will first spend time to evaluate your state of health before prescribing treatments best suited to your particular needs. 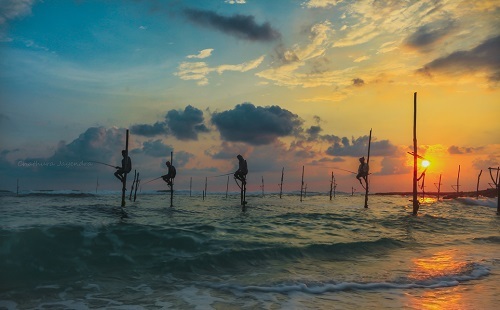 Alternatively, we can also arrange extended stays for those who would like to spend more time in Sri Lanka. Please note that if flights depart late at night or in the morning hours of, the check out time from the hotel is at noon and if participants wish to stay in their room until departure time in the evening, an additional night would need to be booked for them.